Mint Security Systems provides a wide array of security solutions to businesses across many different fields with each one facing their own individual security challenges. 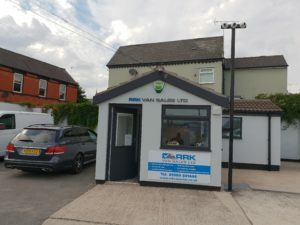 A recent job carried out on behalf of RRK Van Sales in Worksop saw us installing a robust security system with multiple elements factored in. Working alongside the company, we designed and then implemented a system which included CCTV, perimeter detection and a burglar alarm system. With this new system in place, RRK Van Sales now has everything needed to safeguard its premises and its stock and keep the business safe and secure around the clock. RRK Vans moved into their new Worksop site in April and wanted to improve the existing inadequate on-site security. They contacted Mint Security and outlined the sort of protection they needed. We conducted a site visit and worked with them to recommend a system that would give the required level of protection, be futureproofed and convenient in light of day-to-day use. With RRK Vans wanting a remotely-monitored CCTV and alarm system for their Worksop site, Mint Security Solutions quickly got to work designing an HD CCTV system. Monitoring the site 24-hours a day, the CCTV feeds connect to an approved NSI security station. What this means for RRK Vans is the knowledge that their site is always under an expert, watchful eye. But that’s not all. RRK Vans were also concerned about intrusion onto the site, and so we installed external grade movement detectors in critical areas. When the movement detectors activate after business hours, the sensors take an instant screenshot. Screenshots stream to the monitoring station and, if warranted, the security station can then access the on-site cameras for a closer look. If there is an intruder, the security station can issue a verbal challenge and, if required, contact the local police and nominated keyholders. We also installed a Grade 2 intruder alarm system for the sales office, teamed with a Grade 4 DualCom system for monitoring purposes. The client can also access all these features from their smartphone and even issue their own verbal challenges. One unexpected benefit for RRK Vans has been the added benefit of seeing which vehicles customers are most interested in when perusing the lot – so security has more benefits than just keeping a site safe!